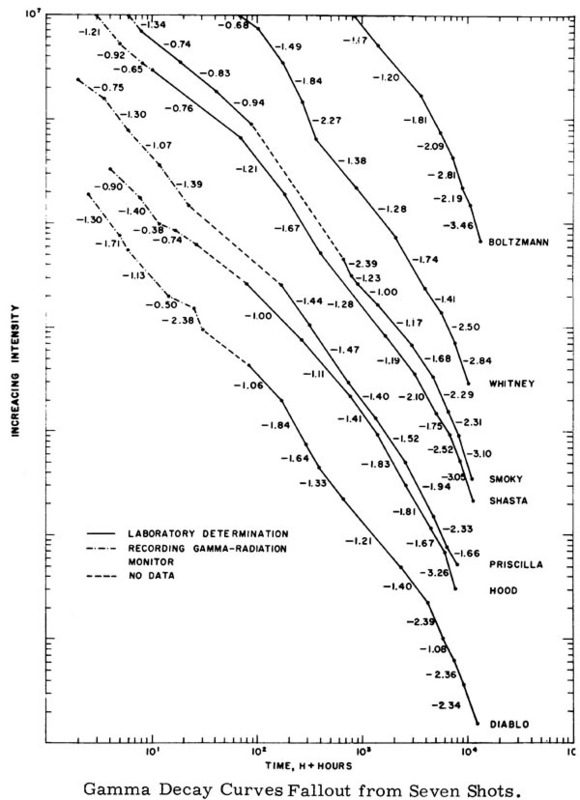 Gamma decay curves from seven tests from Operation Plumbbob. 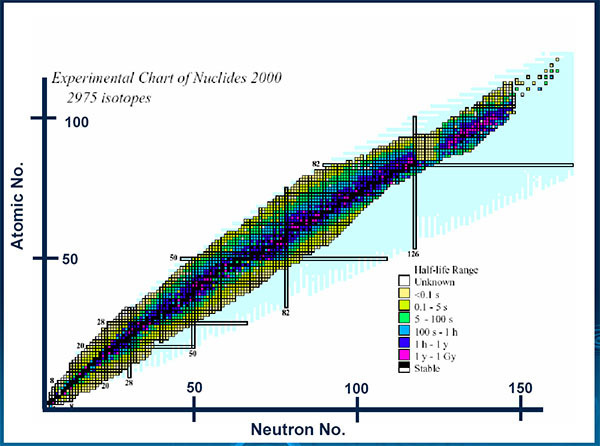 This slide shows that nuclear decay generally follows the basic decay curve t-1.2. 7 hour rule: At 7 hours after detonation the fission product activity will have decreased to about 1/10 (10%) of its amount at 1 hour. At about 2 days (49 hours-7X7) the activity will have decreased to 1% of the 1-hour value! At about 1 year (8760 hours) the radioactivity will have decreased to about 0.01% of the 1-hour value!